Hello sparkles! What did you do this weekend? It was my hubby's birthday and so I planned a little surprise for him. Speaking of surprises, I was pleasantly surprised to find Maybelline Color Show Glitter Mania Paparazzi Purple in my Diva Likes haul. I am someone who loves lighter shades on nails like silvers, gold or turquoise. But this was my first time to try a dark purple color shade. 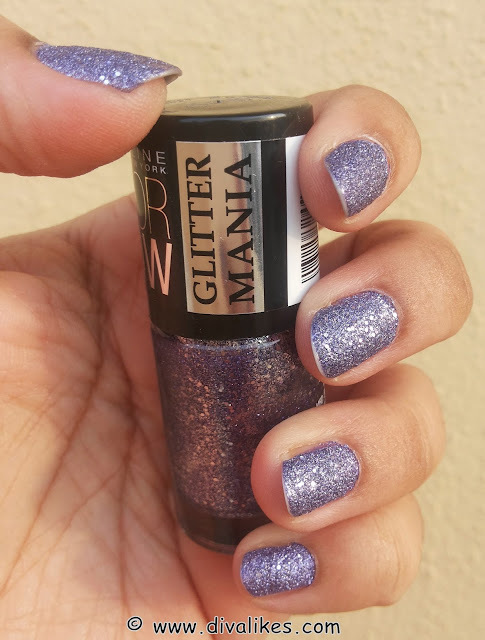 I am a glitter person and I love the effects they create on nails. I am also a nail art addict. There was time during my MBA at Bradford when people would suggest me to start up my own nail art bar. My dearest friend Laura was the first one to advise me to do nails for both the hands. Else I only used to paint my left hand as I had really short nails in my right hand. Coming to Maybelline Color Show Glitter Mania Paparazzi Purple, do read ahead to know if this shade dazzled my little world or not. 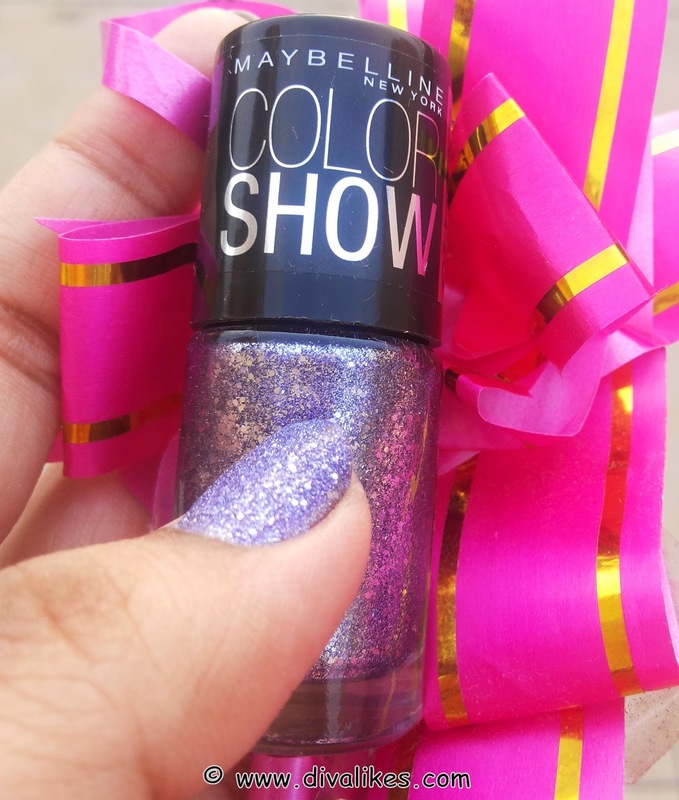 Maybelline Color Show Glitter Mania Paparazzi Purple comes in a clear bottle with black screw cap. 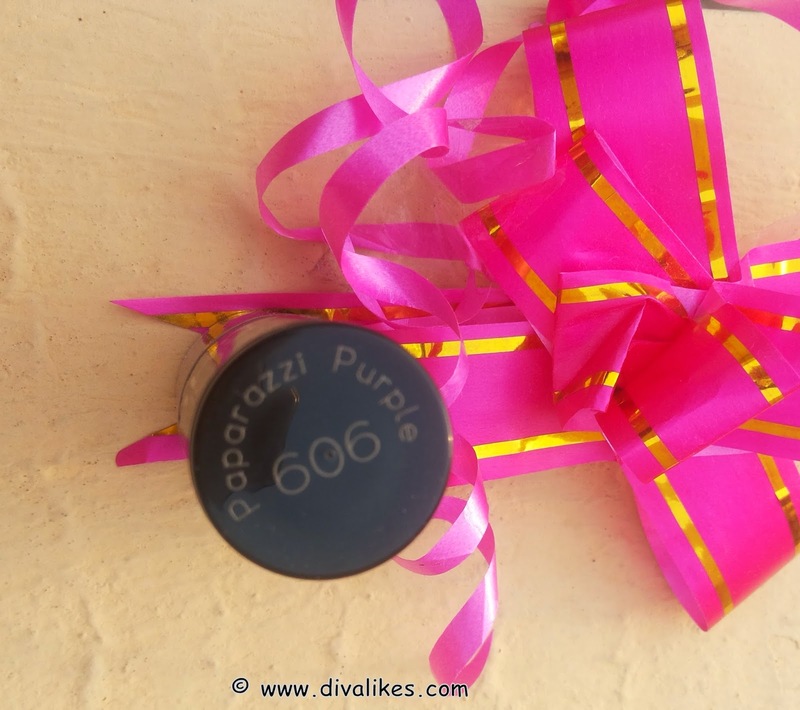 The brush provided in the nail polish is quite good and helps to apply the nail color easily. I really like the packaging overall. The texture of the nail color is like sand paper due to glitters present in it. Therefore, it is not smooth to touch. To get a perfect opaque finish I had to apply two coats. It is neither runny nor too stiff to spread on the nails. Once applied, it dries easily. Though I am not a fan of this dark shade, it did not disappoint me completely. The glitters sparkled each time I moved my hand and gave a princess look. It made me feel like there was style right on my fingertips. It make hand look darker as I have a dusky skin tone. However, the flaw of this shade was covered by the abundance of glitters. I received cool compliments for the same. This one surely never kept my nails go unnoticed. 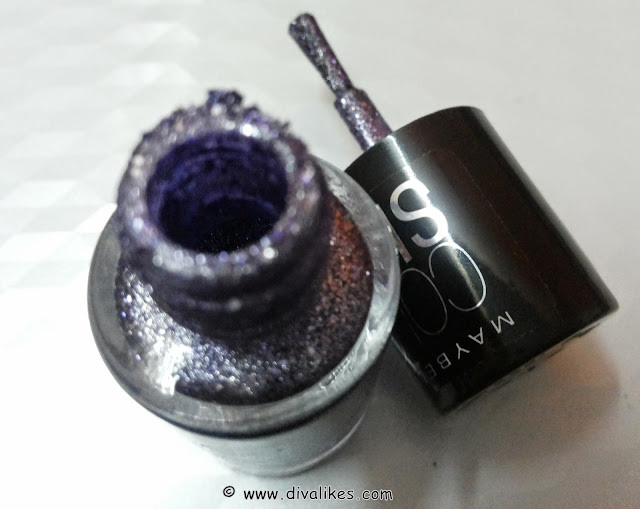 I believe it is a must try shade if you like purple shades and glitter. By the way, I am eyeing next on the "Pink Champagne" shade from Maybelline Glitter Mania. Currently my nails are glittering with "All That Glitters" shade which I will review it shortly. If I didn't use the gold shade from this range, I would have given more an even better rating to this one. It is even better than this. So wait for its review! Just go for this one. The world is talking about this nail color range and it will make sure your nails won't go unnoticed. 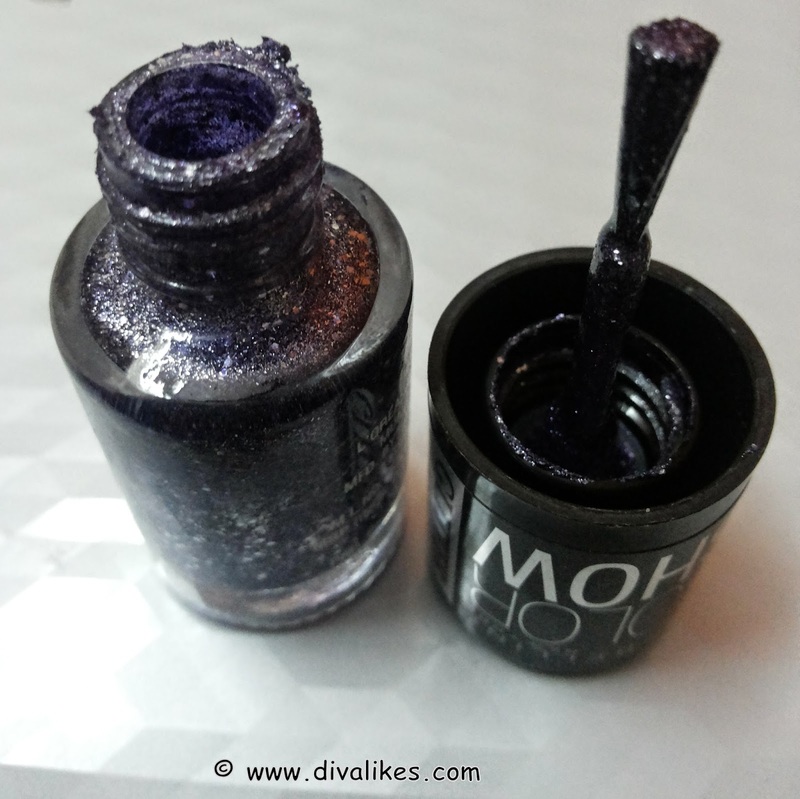 This is totally a night party shade....now I cant wait to check out All that Glitters review!